The Minister, Federal Capital Territory (FCT), Malam Muhammad Musa Bello, has called on the Federal Road Safety Commission (FRSC) to declare 2019 as the year of road behavioral change, as a way of ensuring safety on roads. Malam Bello who made the call on Monday, 3 December 2018, at the commissioning of the FRSC signage plant in Gwagwalada, Abuja, said according to statistics, most accidents on the road were caused by human factor. He stressed the need for the commission to intensify its public enlightenment campaigns to educate Nigerians on the need to obey traffic signs no matter where they were situated. 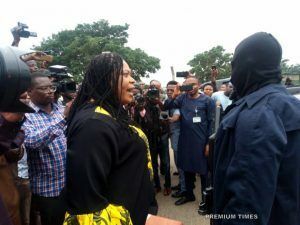 The Minister used the occasion to solicit for an increase in the budgetary allocation to the commission to enable it do the needed massive public enlightenment to achieve the objective. According to the Minister, the immediate benefits of the siting of the plant in the FCT are immense, including, the provision of job opportunities for residents, enhancing the industrial profile of the host community as well asattract other complementary industries and services that would spin-off positive multiplier effects in the Area Council in particularly and the FCT as a whole. 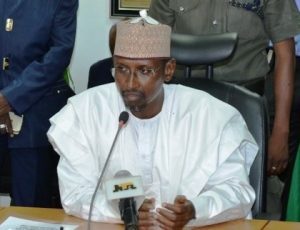 Malam Bello said the FCT Administration is even more delighted because it hopes to patronise the plant in its ongoing plan to mount proper signage on all major roads and transportation infrastructure in the FCT, adding that in a few weeks’ time, a significant transformation of roads, with proper gantries and directional signs, would be noticed in the FCT. He commended the Commission for its efforts in building such a plant which, according to him, was in harmony with the commitment of the FCT Administration to make roads easily navigable through the installation of clear and informative road and directional signs. The Minister said: “To demonstrate our support, we started by using its products and services for our rail line and station signboards and bills even before the formal commissioning. We have already gone ahead of you to embrace the project after our due diligence. As satisfied customers, we consequently, recommend the products and services to all the states of the Federation as well as relevant organizations and companies whose operations involve road signs and directional billboards”. Commissioning the Signage Plant, the Secretary to the Government of the Federation (SGF), Boss Mustapha said the building of the plant was to improve the quality of Nigerians motoring culture and providing safe roads in the country. He said the effort of the FRSC underscores the importance that the Federal Government places on ensuring proper road signs and guides that will make Nigeria highways safer for all. Boss Mustapha who said the commissioning of the plant was a fulfilment of a campaign promise by President Muhammadu Buhari to make safe, lives and property in the country, urged all government agencies to purchase their road signs and signals from FRSC while warning that defacing the signs will attract the stiffest penalty. The SGF promised that government will continue to support all efforts of the commission to safeguard lives and property of road users. In a brief remark earlier, the Corps Marshal of FRSC, Dr. Boboye Oyeyemi, assured that the signage plant was designed to meet the nation’s road sign needs. He said already 6000 various road signs have been produced and placed at different road locations across the country.